The Rebel Sweetheart. : 5 Reasons Kids Need Access to the Internet. It can be tricky as a parent keeping your children up to date with the modern world without them getting too involved with their technology. However, use of the internet can be key to their development. So, take a look at broadband packages from Virgin Media and see how useful it can be for you. Gone are the days where homework amounted to writing an essay in your notebook or working out sums on some graph paper. The internet is a vital tool for modern children’s homework they can email work to and from school and can connect to their school’s online system for bringing up their schedule and to get extra help from teachers. Spending time with friends these days isn’t limited to popping round their house after school or kicking a ball around the park. Of course, these are still a huge part of your child’s life but another way they can chat and have fun with friends is online. It’s understandable if you are reluctant but talking online does not have to be via unregulated chat rooms – online messengers to chat just with friends are the way forward. Playing games is one of the main things that children have to think about. What game to play? Where to play it and when? The answer can be as simple as an account on a safe online gaming website. A set amount of time playing online games with or without friends is a different and exciting way for your child to get the enjoyment he or she requires. You can even supervise if you like. Independence and freedom are important for your kids as they grow up. This doesn’t mean putting them outside and leaving them to it but a bit of time alone without supervision will aid your child’s development. A short amount of time spent browsing the internet can be really useful with this. After all, you can block unsafe websites which means you can leave your little ones to browse the internet safely. We all know how important it is for your children to keep learning, whatever they do. With the internet, this can be done just by browsing or by using specific websites dedicated to studying. Look around at what might be useful for your kid and set them up with some time for study online. There are a lot of educational stuff on the net so it's ok for kids to have access but it should be a supervised one. I agree, kids these days need to be computer savvy and one of the ways we can help them become so is to teach them how to use the internet responsibly. Gone are the days when we needed to go to the library and do our research there (well, hindi ko na din toh naabutan actually hehe). Internet is really helpful with our kids' development. Nakita ko yan with my 3-year-old when we purchased her iPad. I loaded it with educational apps, and I was surprised mas natuto siya because of that (writing, letters, numbers, etc.) 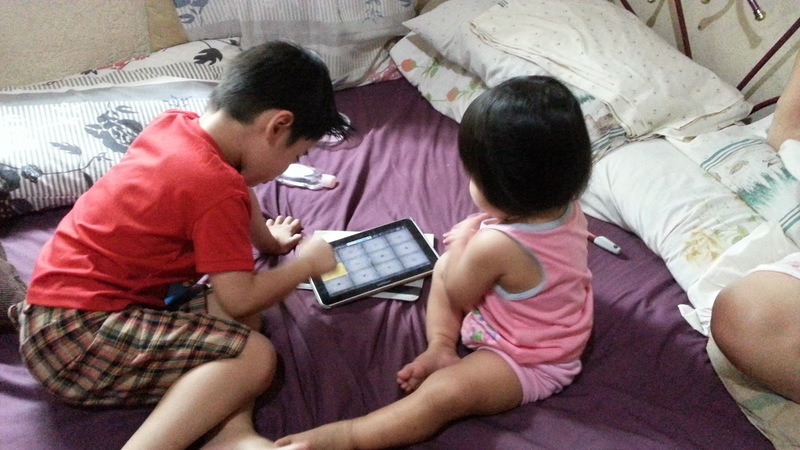 Kids these days, iba na talaga. I agree that the internet is helpful in a child's development. Gwen learned her alphabet and nursery rhymes on YouTube.